This was one of Mashable's top 10 finds on Pinterest a few weeks ago and I had to share. 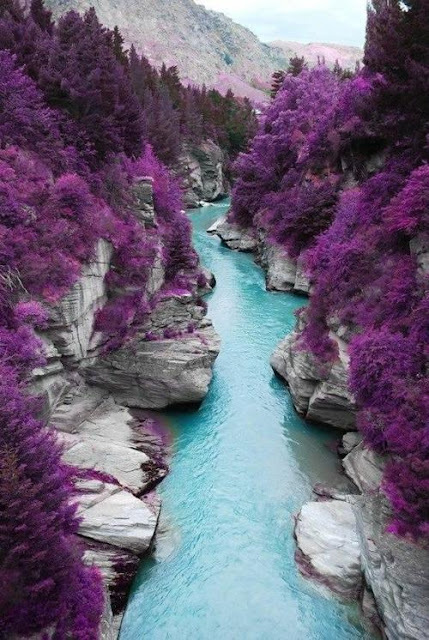 This picture is of the fairy pools on the Isle of Skye, Scotland. I actually have a friend I went to high school with who has been there. I don't have a bucket list, but if I did, a visit to this place would be on it. I love the color purple in nature, don't you?